At Southern Model, the products we produce have been done with the highest quality and best results for generations. We encourage you to compare our quality and service to any other manufacturer. Because we offer great service and a quality product, some of the biggest clients in the business utilize us. Contact us today, so you can get the best in the business of Scale Model Building. Our goal and service is to inspire the success of your architectural project, through amazing Scale Models. Southern Model is a scale model building company and we create detailed models providing realistic representations of materials, lighting and landscaping to bring your model to life. Ranging in size from tabletop displays to skyscrapers, our models can be seen around the world and include offices, condominium towers, convention centers, government buildings, commercial retail and hospitals. We’ve built models all over the world, including India, China , Indonesia, Puerto Rico and the Grand Cayman Islands to name a few . The quality materials and craftsmanship allow our models to withstand shipping to all parts of the globe. We design models of corporate campuses of varying sizes and detail. We can present your company’s vision whether you are designing a new campus or simply adding a new building and would like to distinguish between different phases of campus construction. We build stadiums with varying levels of detail to best suit your needs. From study models to highly detailed projects, we also design realistic fields of play and advertising signs to accurately reflect your stadium. We construct all types of models for use in trade shows, including industrial processes, machines and prototypes of new products. Quality materials and durable construction allow our models to withstand the typical hazards of trade shows and conventions. Site models showcase the scope and scale of your project by incorporating surrounding amenities and highlighting the accessibility of your location. We match the topography and landscaping to give a satellite view of your site. Study models give you the opportunity to examine the design of your project. Generally involving less detail, changes can be made more efficiently to represent the project over time. We also build structural models that show how your building will stand the test of time. Utilizing different mediums of model building, we also construct models out of several wood types, including basswood, maple, oak and birch. Wood models are more challenging to build but can provide a different and beautiful representation of your project. We build models for use in criminal and civil court to provide a visual illustration for the prosecution or the defense. We create accurate replicas of the crime scene using drawing s and photographs that allow you to make a better case to the jury. Quickly and Easily submit a request for quote. So you can get started right away. You can easily choose most of the options you need in our quote form. Everything we do is 100% USA made. We are proud of our country and we strive to produce the best product with precision, accuracy, and quality. 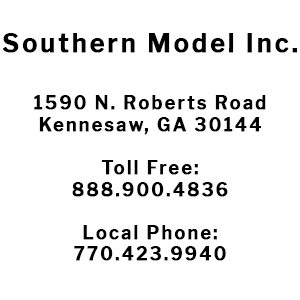 When you need a high quality model, Southern Model has what you need. Contact us Today For Your Next Project Idea!